Located 1.3 miles northwest of downtown Pigeon Forge, La Quinta Inn & Suites is situated between Sevierville and Gatlinburg. 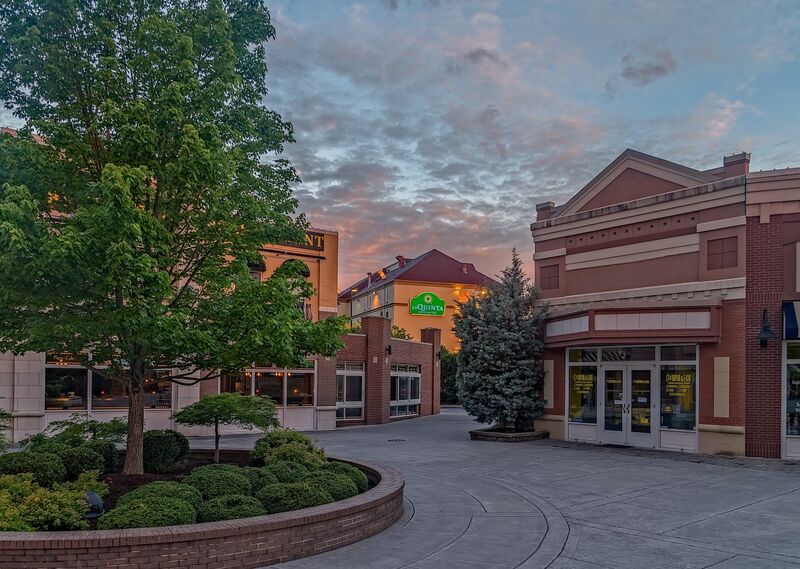 Easy to find and within a short distance of the Great Smoky Mountains National Park and Dollywood, our Pigeon Forge hotel accommodations are accessible from a number roadways. While here, enjoy easy access to outdoor adventures in fishing, hiking, horse riding, picnicking, wildlife viewing or taking in the area’s gorgeous waterfalls. Perfect for the whole family, our location is within close proximity to WonderWorks amusement park, the Titanic Museum and much more. Browse our area guide for more ideas on what to see and do while here. Exit at SR 66, Exit #407 and head south. Follow for approximately 8 miles through Sevierville and SR 66 will turn into US 441. Follow US 441 for 3 miles towards Gatlinburg. We are located on the right side of the road near traffic light #2-B.